Some afternoons I just need an extra boost of energy to make it through the last tasks before calling it a day. That boost, believe it or not, doesn’t have to come from Starbucks! Here’s one of my favorite treats that tastes amazing and doesn’t have a thing in it to feel guilty about. First, however, may I pass along a tip I learned early on when changing my diet: Go ahead and give in to the chocolate and sweet cravings, but…. with good choices. And to keep those cravings to a minimum, don’t allow yourself or your family members to get famished. So now for that treat. 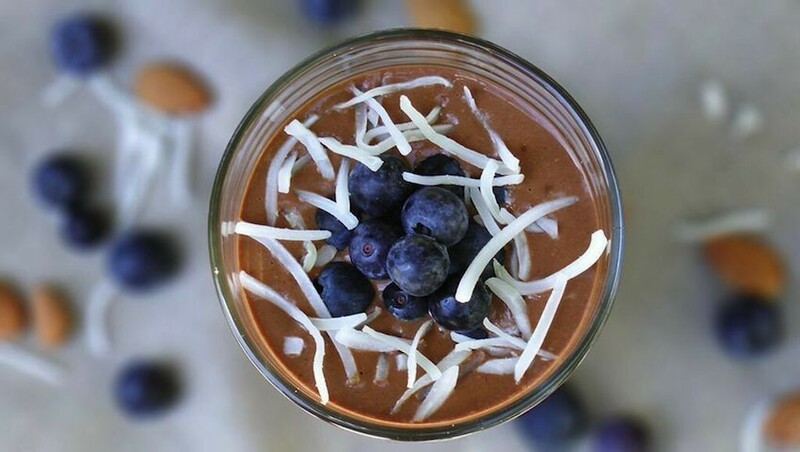 MindBodyGreen recently featured this yummy Cacao and Almond smoothie that is very close to what I make at home, so I have included my personalized tweaks in italics. I do hope you take the time to make it soon.